Lorne Gunter is a senior political columnist at the Edmonton Sun and a Sun News Network contributor. Former Alberta premier Jim Prentice—who died today, along with three others, in the crash of a private plane near Kelowna, BC—deserves to be remembered well by history, even if he ultimately became one of the shortest-serving leaders in the province’s history. The son of a coal miner who had a brief fling in the NHL (Prentice’s dad played five games with the Maple Leafs in 1943 while many full-time pros were away fighting the Second World War), Prentice himself became a very gifted junior player. A scrappy winger who might have gone further than his dad, he saw his hockey career end suddenly due to a knee-on-knee collision in his teens. For Alberta, and Canada, too, it was perhaps a good thing that a dirty hit by a lesser player ended Prentice’s dreams of hockey glory. During his political career, Prentice seemed genuinely to love and understand ordinary voters. He always held a special place for persons with disabilities and for First Nations. As a young lawyer, Prentice had spent a lot of his time negotiating water access and drilling rights for ranchers and oil companies seeking to use land belonging to First Nations. He never seemed to tire of meeting with chiefs, band councillors and reserve residents, even after leaving the premier’s office in May 2015. It was probably his own working-class origins that made him so comfortable with small business people, blue-collar workers and average voters. Born in 1956, in the gold-mining town of South Porcupine, Ontario, Prentice moved to Alberta when he was a youth, as the local gold deposits were petering out. His father took up underground coal mining, first in Grande Cache, just outside Jasper National Park, then in the Crowsnest Pass in the Rockies of southwestern Alberta. The latter was one of the few hotbeds of radical union organizing in Alberta, though Prentice once joked that he was too young to have noticed much of that going on around him. Prentice himself spent seven summers working the coal seams—hot, hard, dusty, suffocating work—to pay his way through university and law school. When he wasn’t digging coal, he would spend his time fly fishing in the streams near the Pass. 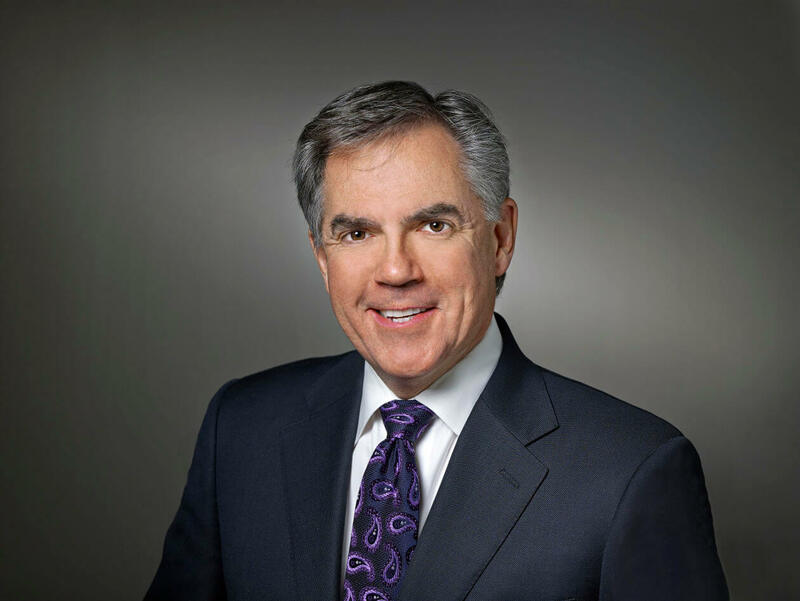 When Canadians learn of Prentice’s humble beginnings, they’re often taken aback. The Prentice most Albertans and Canadians knew was a successful lawyer, federal cabinet minister, and senior CIBC executive. His close contacts came to include some of the most powerful and influential members of the Canadian business world. The coal miner’s kid turned out to be good with numbers. He helped raise and manage the funds that got the Tories elected under Brian Mulroney in the mid-1980s, and then again under Stephen Harper a generation later. Prentice was also, when the mood struck, a truly inspirational public speaker. In short, he seemingly had everything Albertans would want in a politician: the common touch as well as an ability to work among “the suits” in law, banking and oil companies. Were he premier now, there would be no question that Alberta would have remained a good place to invest money. The province’s economy might still be slow due to low oil prices. (Not even Prentice could have changed that.) But he would have given international executives proper assurance that their operations would not be threatened by excessive taxes and regulations. The conventional wisdom about the Tory loss in the 2015 provincial election (largely formed by commentators who never liked the Tories much, provincially or federally) is that Prentice couldn’t shake the arrogant and entitled ways of the Alberta PC party, a brand that had been tainted by the scandals of Alberta’s fourteenth premier, Alison Redford. While there’s truth in that, it’s not entirely correct or fair. Prentice’s first budget—an all-things-for-all-voters affair—was not received favourably. He then called a snap election, a year ahead of schedule, “bypassing” Alberta’s fixed-date election law. That move was seen (rightly) by plenty of voters as a typical Tory manoeuvre: pounce while your opponents appear weak. And it came back to bite him. Only too late in the election campaign did Prentice realize there was an appetite for change in the province. Even though he was a fresh face, Prentice wasn’t seen by voters as the agent of change they desired. The NDP’s momentum became unstoppable. In all my years covering Alberta politics, I have never known any premier as well as I knew Prentice. During his brief eight-month tenure, I had the pleasure of three one-on-one conversations. One time, he had heard I’d spoken at a conference promoting stronger property rights. Prentice, who, as noted, had started his legal career defending property holders, large and small, expressed fascination in the subject. On another occasion, we discussed Albertans’ appetite (or not) for red ink. We agreed that, like it or not, Albertans don’t mind big government in good times when there’s plenty of cash flowing in to pay for it. But they prefer Ralph Klein-like cuts to big deficits when revenues plunge. Ultimately, it was Prentice’s failure to follow his instinct on deficits that cost him last year’s election. He spent nearly four months priming voters for reduced spending and services (and in the process priming a return of Wildrose voters to the Tory ranks). But at the last minute, Prentice opted for a budget with almost no spending cuts. This reversal convinced Wildrose voters that despite Prentice’s claims of fiscal conservatism, the Tories still hadn’t reformed their free-spending ways (or their treatment of the provincial treasury as a party slush fund). At the same time, because his government’s budget contained few spending increases, it permitted the NDP to claim it was a dangerous assault on public sector workers and services. In the end, Prentice was done in by a personality trait his colleagues in Ottawa had noted when he left for the provincial scene: his desire to please everyone around him. That’s a good trait in a friend or relative—but it can create trouble for a political leader. It is a tragedy that Jim Prentice has died at such a relatively young age. He contributed much to his province and country, and surely would have contributed more had his life not been cut short.